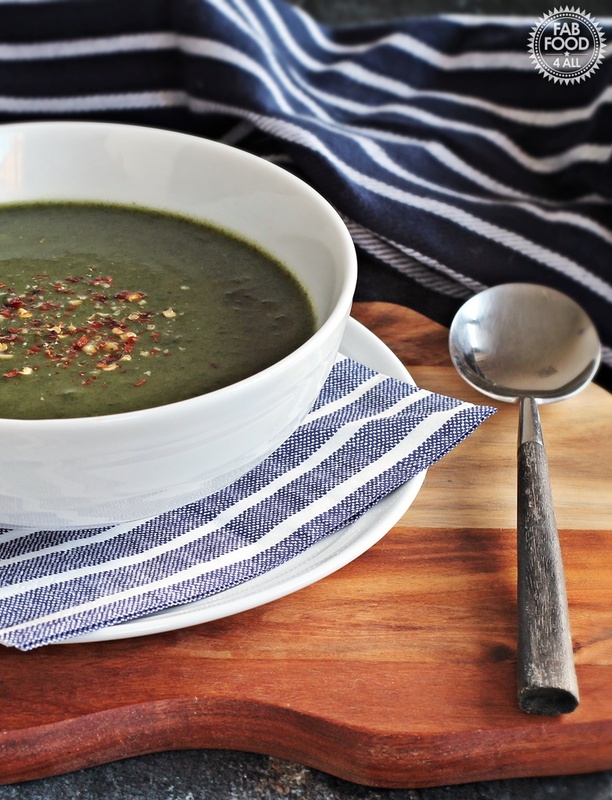 You are here: Home / Soups / Quick Spinach Soup – with vegan option! 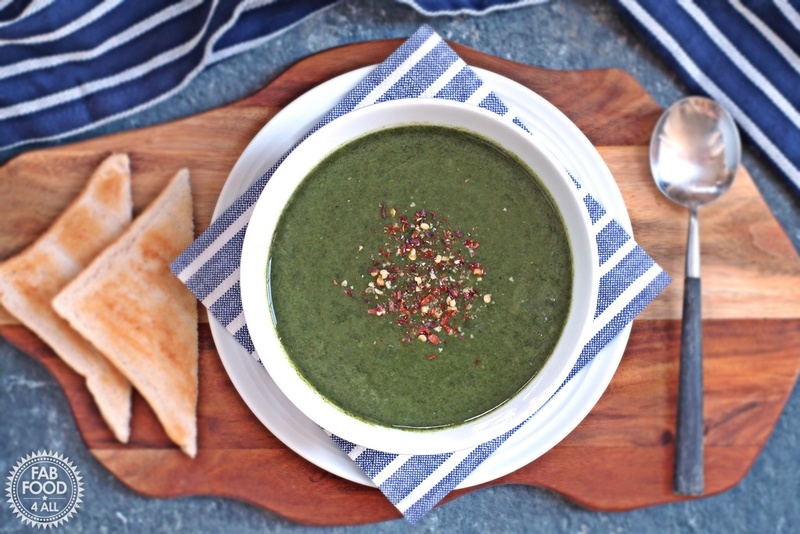 There’s nothing better for lunch when it’s cold, than a hot bowl of soup and with snow forecast and St Patrick’s Day upon us I thought I’d share my Quick Spinach Soup with you! I love a bargain and last night I got 2 bargain bags of baby spinach which I had intended to make into my Quick Poached Egg & Garlic Spinach Bagel but then hubby said he fancied soup. I decided to keep things simple and opted for adding potatoes, onion, garlic and nutmeg. I wasn’t sure if my Quick Spinach Soup was going to be any good but I needn’t have worried as hubby very quickly gave it his seal of approval and soon we were tucking into our bowls of soup along with some toast. This recipe is easily adapted to be vegan by swapping the butter for vegan spread or you could just use come extra oil. Spinach is really nutritious and to benefit from the maximum amount of iron you should eat it along with a vitamin C rich food like freshly squeezed orange juice. 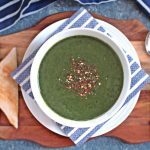 So I do hope you try this Quick Spinach Soup which would go really well with some Irish Soda Bread – Happy St Patrick’s Day!. 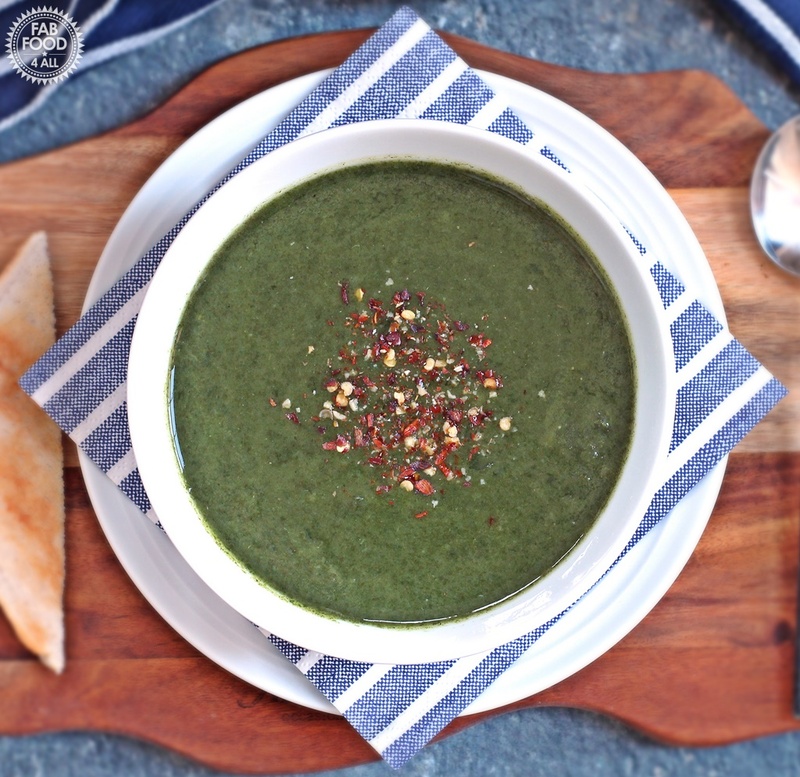 Why not pin my Quick Spinach Soup? 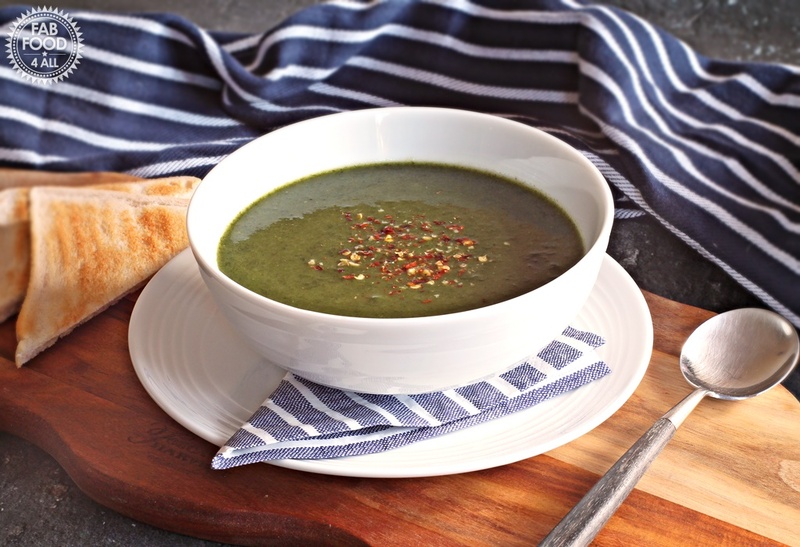 Quick Spinach Soup is both nutritious and delicious. Perfect for a healthy lunch! Place the oil and butter in a large pan and place over a medium heat. Add the diced onion and sweat under a lid until softened stirring occasionally (about 8 minutes). Add the diced potato and fry gently for another 2 minutes. Then add the stock, spinach, nutmeg, salt and pepper. Bring to the boil, reduce heat and then simmer for 15 minutes or until potato is tender. Blend soup with a stick blender, don’t overdo it. Garnish with a grinding of dried chillies and garlic. and serve with crusty bread. I love spinach, but never thought of this. Thanks for the recipe.